The Atlanta Business Chronicle’s popular Book of Lists, an annual publication from the journal, was recently released and the ranking of the Top 10 Atlanta Home Builders is among the 200-plus pages of lists included within the book. This list is based on the number of homes closed in 2017. This year D.R. Horton tops the Home Builder’s list with 3,569 homes closed in 2017. Century Communities of Georgia ranks as No. 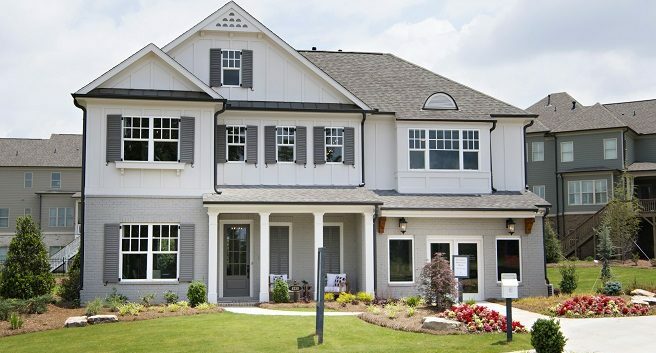 2 with 1,316 homes closed, Pulte Group Inc. is at No. 3 with 991 closings and Smith Douglas Homes at No. 4 with 796. National home builders once again dominate the top three spots, but several locals are holding their own. A number of Atlanta Real Estate Forum participants are included in this year’s Top 10, and we are pleased to congratulate them on their accomplishments! As always, it will be interesting to see the new rankings when they come out later this year and are based on 2018 closings. ** Special thanks to The Providence Group of Georgia, LLC for providing images of its homes for this post.